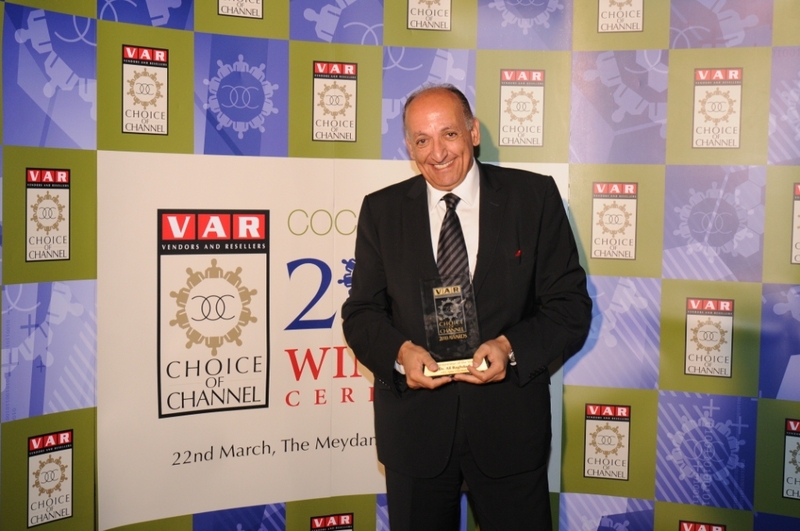 Dr.Ali Baghdadi, CEO Aptec Holding awarded “Entrepreneur of the Year” by VAR COC 2010 awards. Dubai UAE 1st April 2011 - Aptec, the leading technology distributor in Middle East, Pakistan, Turkey & Africa, has been voted “The IT Distributor of the Year” at the 2011 Channel Middle East Awards Night’. The ‘Channel Middle East Award 2011 held at the Jumeirah Zabeel Saray Hotel Dubai, brought together the leaders of the channel business in the Middle East region, to recognize the outstanding achievements of the channel over the past twelve months. More than 300 channel executives attended the action award packed event. Aptec won the award for its outstanding achievement in the field of IT distribution, success in sales volume, logistical ability, reseller support and market expansion. The Judging panel of the awards applauded Aptec expansion into emerging markets in 2010, its initiative with key vendors to develop resources and training facility to improve skills in emerging technology sector and its ideas to help reseller partners to deal with the economic climate through new financial services and training. Dr.Ali Baghdadi was also voted “Entrepreneur of the Year” by VAR COC 2010 awards. The winners are recognized on the number of votes received from the Channel. Dr.Ali Baghdadi was chosen as Business visionary who has shaped the growth of his company Aptec and for also being the Back bone of the Middle East IT industry who has been associated with the region for over thirty years.